What the Shell is a new kind of board game that gives you this amazing satisfaction. Oh No, this ain’t your traditional static five-in-a-row game, but an original invention that is fast-paced, deeply strategic and dynamic. Nothing is inevitable, and the game is never won or lost until the very last moment. Our unique twist of simultaneous play makes every turn exciting and unpredictable. If both players go for the same space, a neutral egg blocks the space. 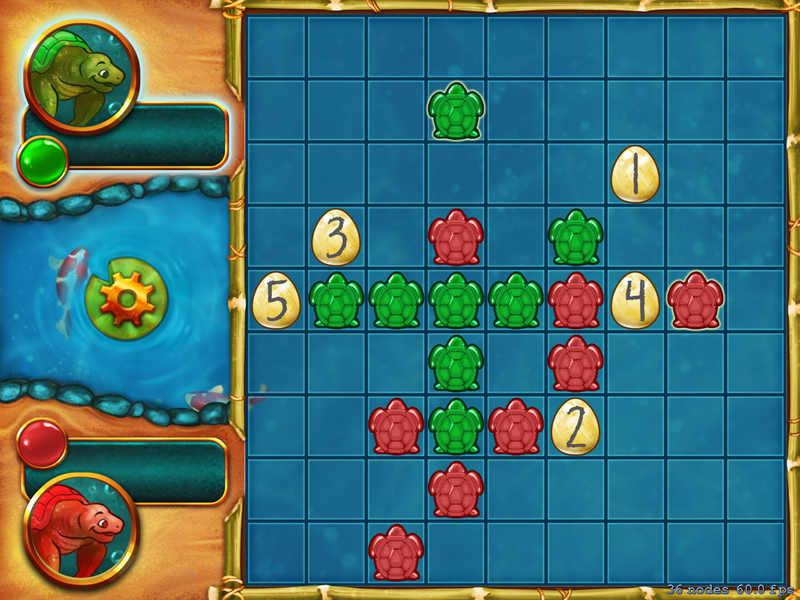 The players can capture each other’s turtles by outflanking them, which also allows them to claim a neutral egg. This encourages aggressive pay and makes for dynamic back-and-forth gameplay. In this early release, the core game is completely playable. Look forward to many more features to come — more online features, achievements, more graphic options, customizations, and much, much more! Prueba el giro único de Ludisto de este amado clásico, Poker Solitaire (o Poker Squares). Las originales innovaciones de Ludisto sobre la fórmula clásica lo hacen aún más divertido y desafiante. Tanto si nunca has jugado antes como si eres un experto, nuestro tutorial interactivo te pondrá al día rápidamente. Puedes finalizar una partida en minutos: perfecto para desconectar un momento. O darte un atracón con su adictiva jugabilidad y ver cómo evoluciona tu estrategia. Presume en Facebook y en Twitter y una vez que hayas dominado el original sistema de puntuación de Ludisto, ve a por todas con el sistema de puntuación americano disponible en nuestra versión premium, junto a otras sorpresas. Simplemente juégalo y lo amarás.